It's Wanda here today on this beautiful Wednesday!! 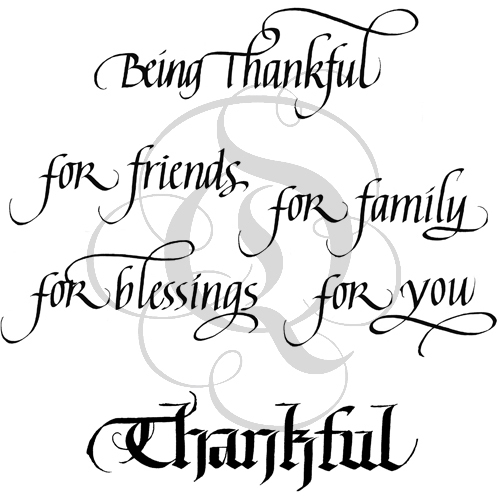 There is much to be thankful for and Suzanne's stamp set, Being Thankful, has some very important ones. I have combined stamps from that set along with the beautiful Thanks die to make this card. 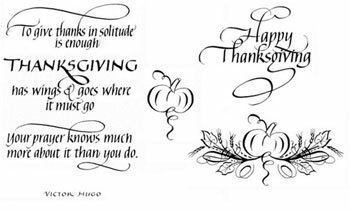 I lined up all the stamps from the Being Thankful set that I wanted to use on an acrylic block and stamped them onto vellum using Archival Ink jet black. After drying the ink, I tore the vellum into a square around the words and inked the edges with Distress Ink mowed lawn. The next layer is a sampler pack size piece of gold shimmer sheetz from the metallic pack. 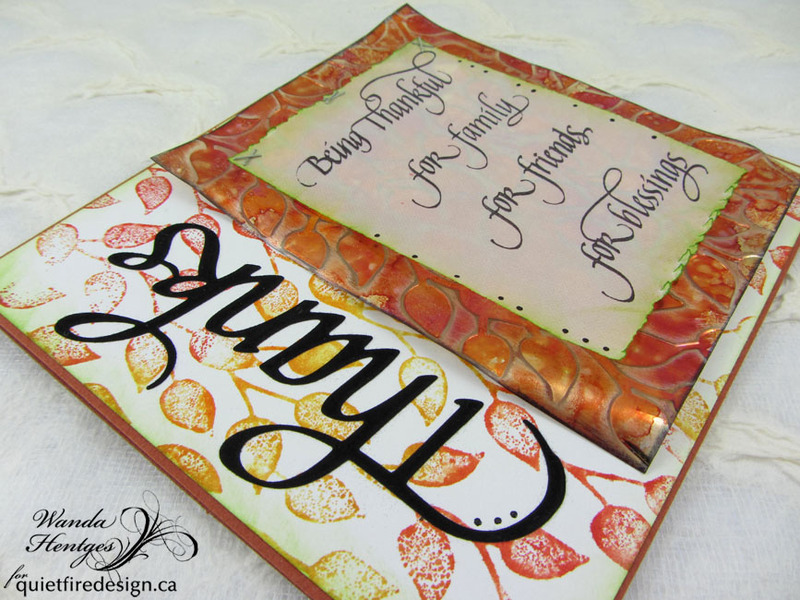 I inked over the piece with Alcohol inks (sunset orange, rust, raisin), embossed it with the curvy leaves ECD embossing folder, sanded it, inked the edges with Archival Ink jet black and heated the edges lightly allowing the shimmer sheetz to curl a bit. The piece of stamped vellum is attached to the shimmer sheetz using a tiny attacher just along the top edge and the rest is left lose. 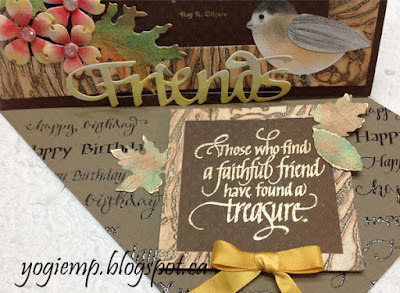 For the next layer I used the curvy leaves embossing folder as a stamp. I inked the side of the folder with the raised leaves using Distress Ink (wild honey, barn door, spiced marmalade), lightly misted over it with water and then pressed it onto white cardstock. I repeated this to fill the cardstock and dried it. The edges are inked with Distress Ink mowed lawn. 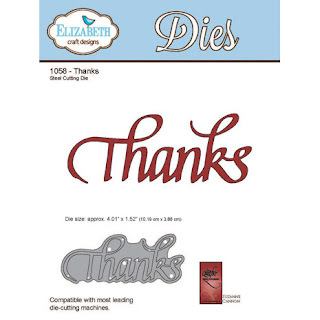 Thanks is die cut from a black velvet adhesive sheet, attached directly onto the background as shown, and the shimmer sheets piece is attached with foam tape. Everything is attached to a folded rust colored card and then I added some black dots using a Glaze pen. 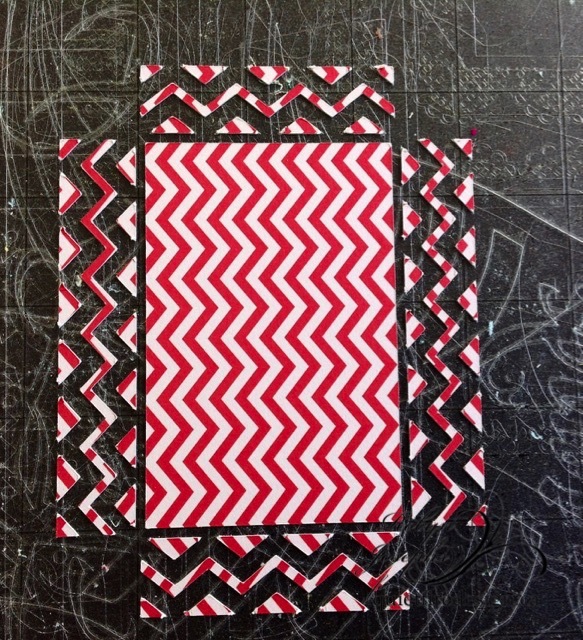 The finished card measures 6 1/8" x 5 1/2". Although it's not time for snow yet it's always time to make up cards to send to friends. 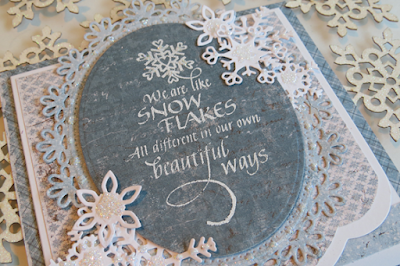 Today i have a card to share using the "We are like Snowflakes" stamp. I wanted to do a little something different with the shape so i started with a card that had a scalloped edge on the bottom and the cut a piece of the Maja Design winter snowflake papers to fit. 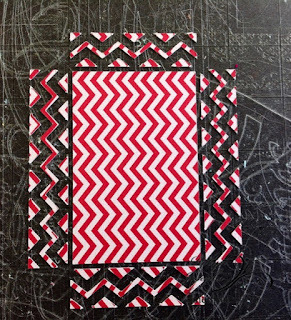 Then i layered lots of the other prints in both squares and die cuts. 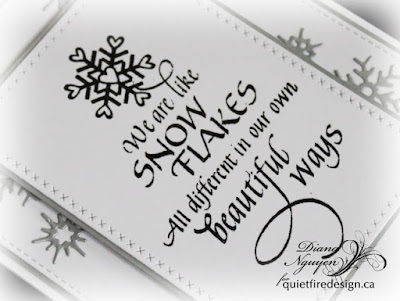 And a few white snowflakes too. that on with 3D Foam squares. 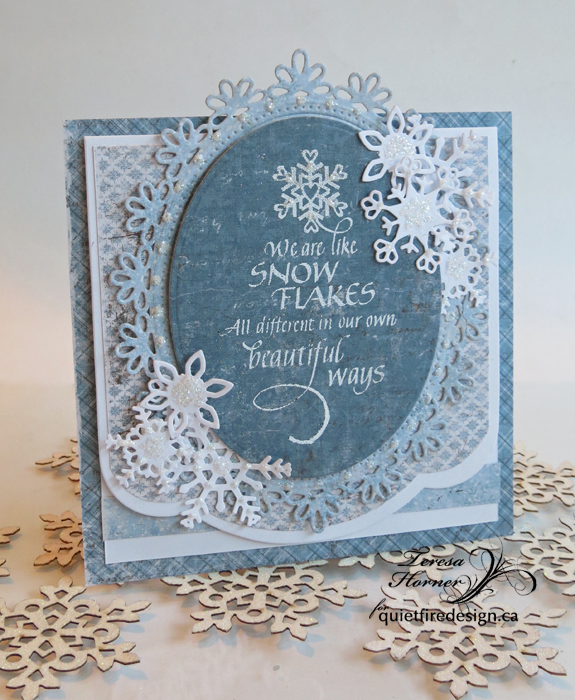 And just to add a little more glitz i put some small dots of diamond stickles around the border and on the snowflakes to make them shine. I love how it came out. 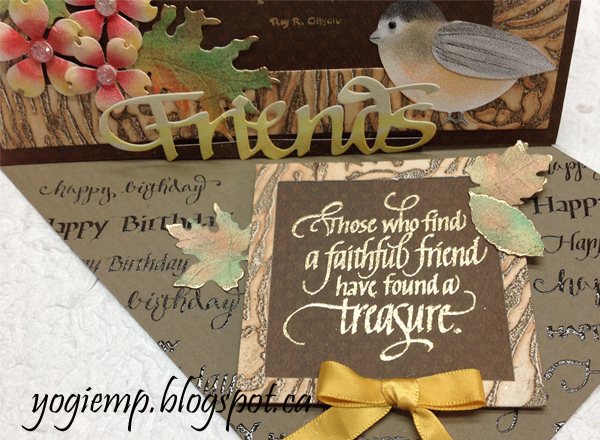 Thanks for stopping by today and hope you have a fun day stamping and creating something fun! Of course you could use any other quote stamp...Quietfire has so many gorgeous ones! This cute little project is really easy to make. I bought my plain wooden photo frame (mine is sized 3.25"x 4.5") and embellished it with some mulberry flowers, leaves, stamens and a little birdie ....that is all it took! Just enough to keep all emphasis on the quote. Hello Everyone! 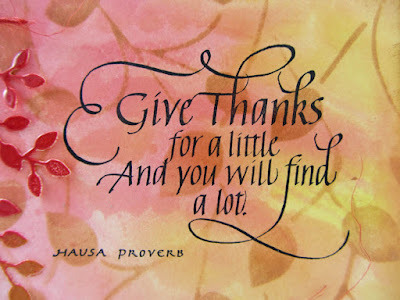 I’m so pleased to be joining you again this month as guest designer, and today I have a Thanksgiving card to share. 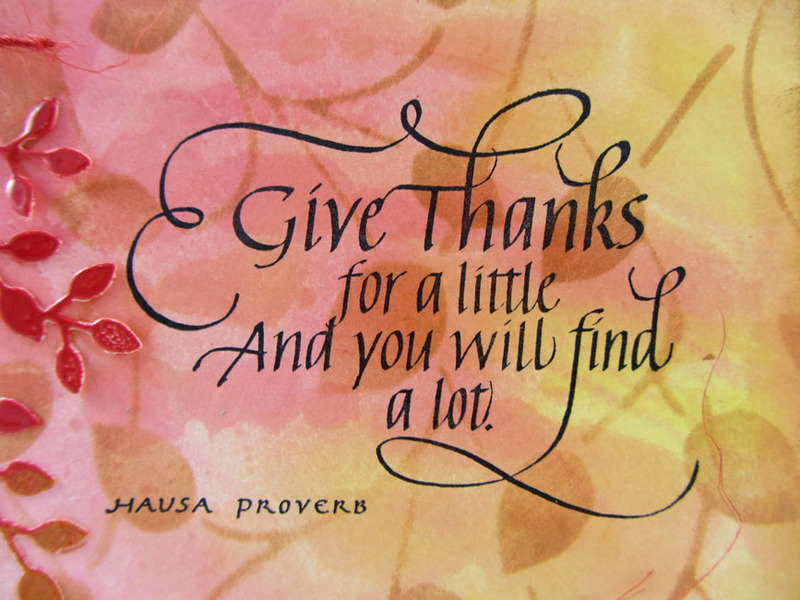 The beautiful stamp set “To Give Thanks” is perfect for a Thanksgiving card. 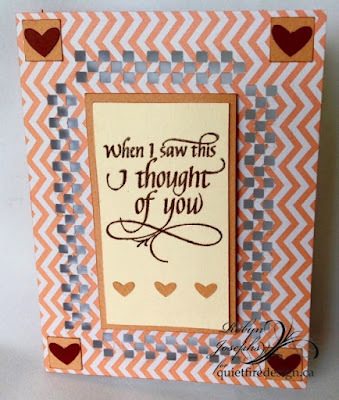 I made an easel card base and added pieces of patterned paper and a pumpkin, along with stamped images. 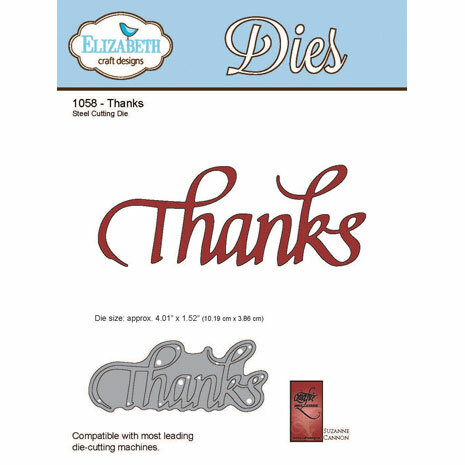 The die “Thanks” was cut from black cardstock and layered onto paper that has the “To Give Thanks” text stamped onto the background. 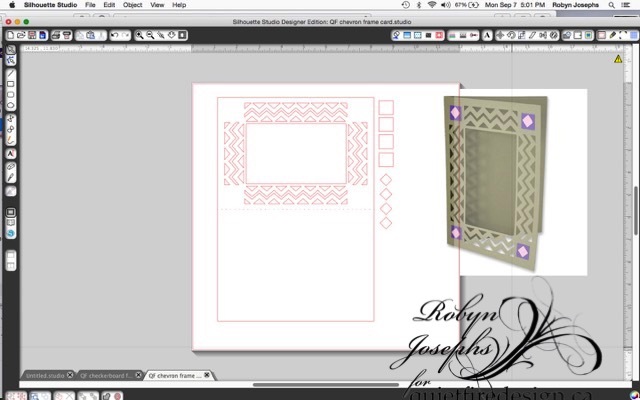 You can easily make your own script paper by stamping text onto it. I just love this stamp set and die combination! It was wonderful to have the opportunity to work with the Quietfire Design products, and I am thankful for the invitation. The exceptional quality makes crafting a delight! Core'dinations cardstock; FabScraps paper; Brother ScanNCut; Clearsnap Ink; May Arts Twine; Scrapbook Adhesives by 3L E-Z Runner and Crafty Foam Tape. 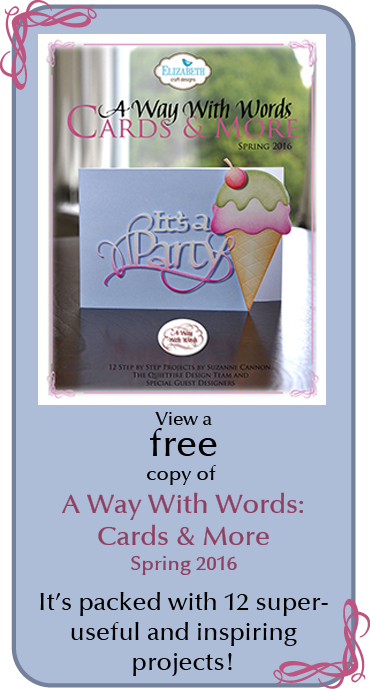 I'm using some of the newest cardstock on the Elizabeth Craft Designs website. Just fabulous "Soft Finish". It's got a smooth side and a textured side. Both accept Pan Pastels wonderfully. It's like silky velvet. WOW is all I can say... 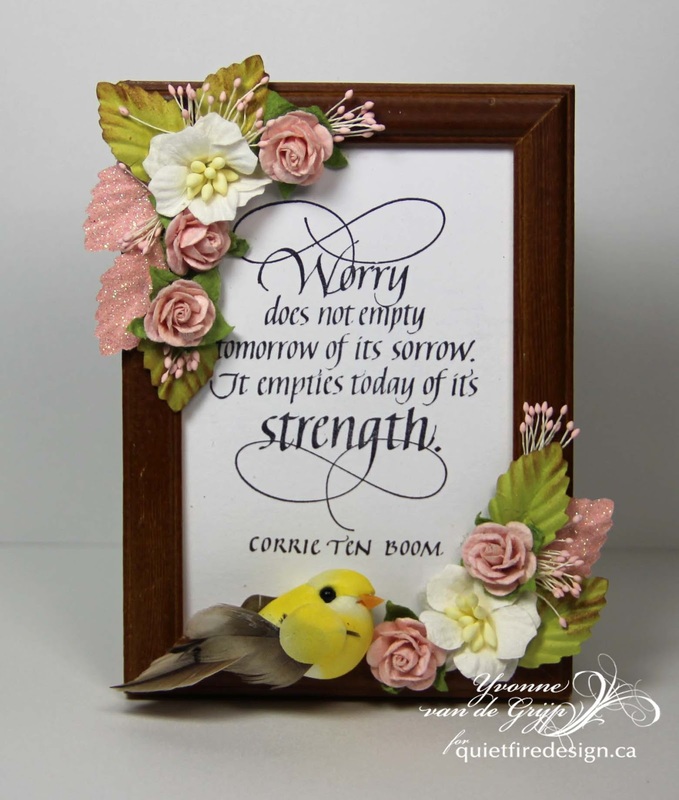 The flowers, Friends word (also available on Quietfire Design HERE), and bird are done on the textured side, the leaves on the smooth side. The cardstock reacts beautifully to tooling. 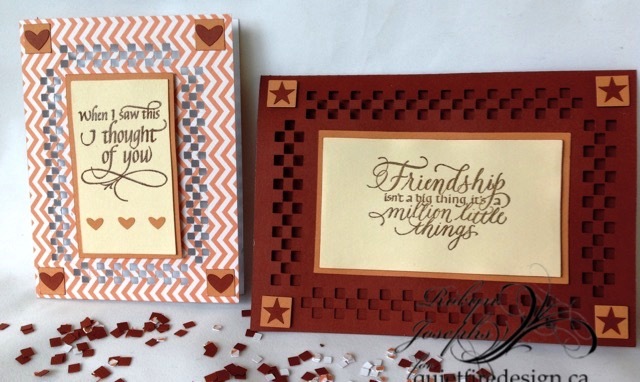 Also using the "Bark" embossing folder from Elizabeth Craft Designs. 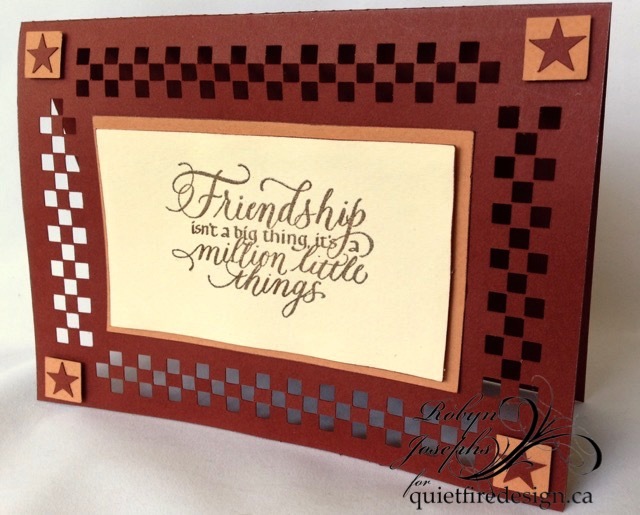 I'm using a bunch of Quietfire Design quote and sentiment stamps. ("Keep Your Faith..."); ("Those who find..."); ("Happy Birthday Plain and Simple" 7pce set). 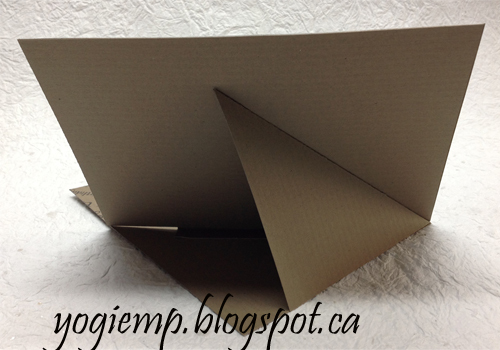 I scored and folded my brown cardstock to create the easel (see back below). Cut another piece of the brown cardstock for my front and covered it edge to edge with a brown on brown polka dotted scrapbook cardstock (Bo Bunny "Chocolate Dot"). Adhered it all to the front. 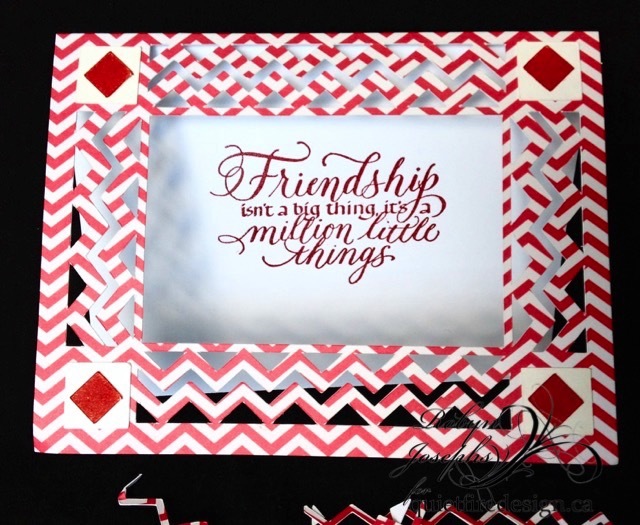 Used Spellbinders "Matting Basics "B" 5 x 7 die set to cut out the frame. Adhered to card front. 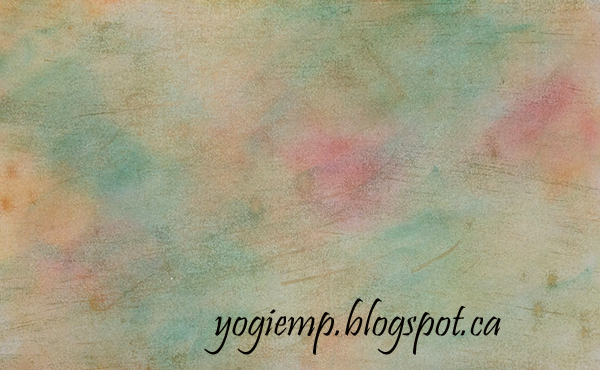 For the leaves, applied the Pan Pastels to the smooth side of the cardstock. It adhered beautifully... (see pastel background pic below). 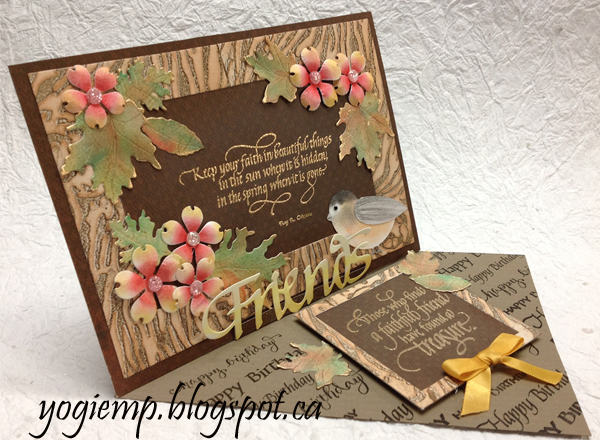 Die cut the leaves and used a small balled stylus to add veining, then touched areas with more pastels for contrasts. Hit the edges with a Versamark pad and embossed with Queen's Gold. 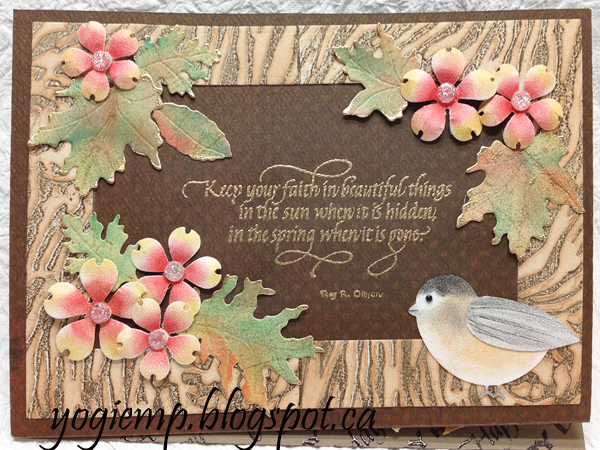 Stamped the quote ("Keep Your Faith...") with Versafine Toffee and embossed with the gold. Die cut the bird from the textured side of the white cardstock and also colored with the pastels, adding some black fine tipped marker lines in the wing and beak. Final touch added a very small black rhinestone for the eye. 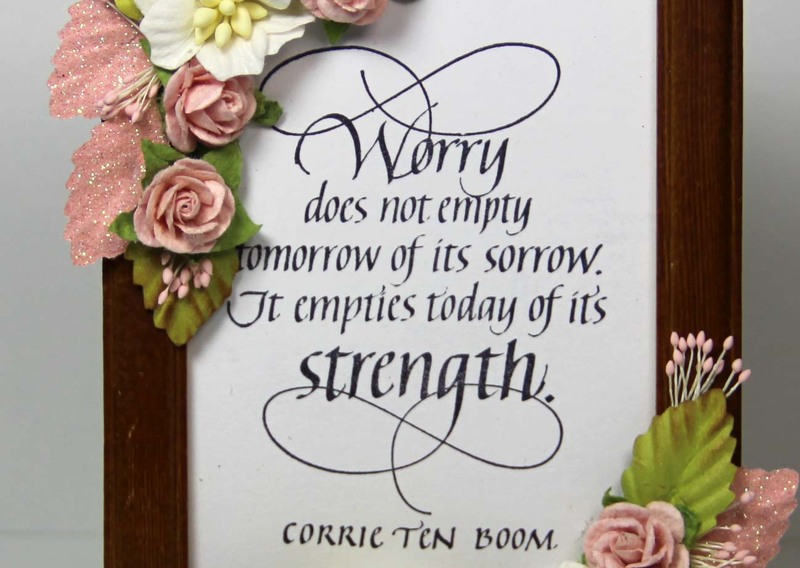 The flowers were die cut from the textured side and colored with the pastels after die cutting. First with red in the centers and then with yellow on the edges, then tooled both on front and back with a large balled stylus on a foam mat. Adhered the leaves and flowers, then the glittered pearl centers adding a dab of Best Ever glue. Die cut the "Friends" (Friends word - also available on Quietfire Design HERE) from the textured side and colored with streaks of various Pan Pastel yellows (lightest on top and darker on the bottom). Scored a piece of the BoBunny cardstock to be the same height as the front edge around frame. Adhered the bottom edge of the word to the scored lip edge. Adhered the fold to the floor to act as the stopper. On the easel floor arranged the birthday sentiments ("Happy Birthday Plain and Simple" 7pce set) on my stamping block and repeatedly stamped using Versafine Black Onyx and clear embossed. Stamped the quote ("Those who find...") on a scrap piece of the BoBunny paper using the Toffee and embossing with the gold. 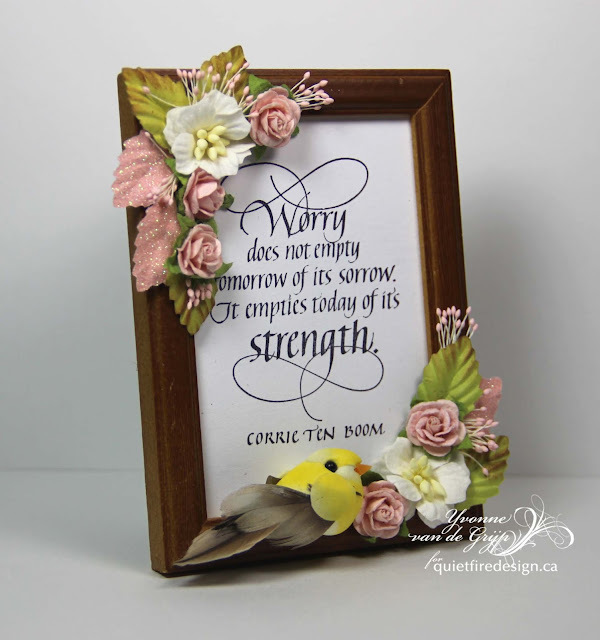 Hand cut a scrap piece of the bark background to create the frame and adhered the quote to the back, trimmed down excess. Adhered to floor with 3d foam tape. Tied a yellow silk bow and adhered to frame with hot glue. Added some left over leaves. 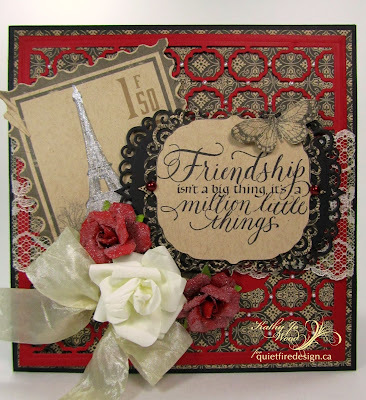 I just can't get enough of this stamp- the design and the sentiment are beautiful! 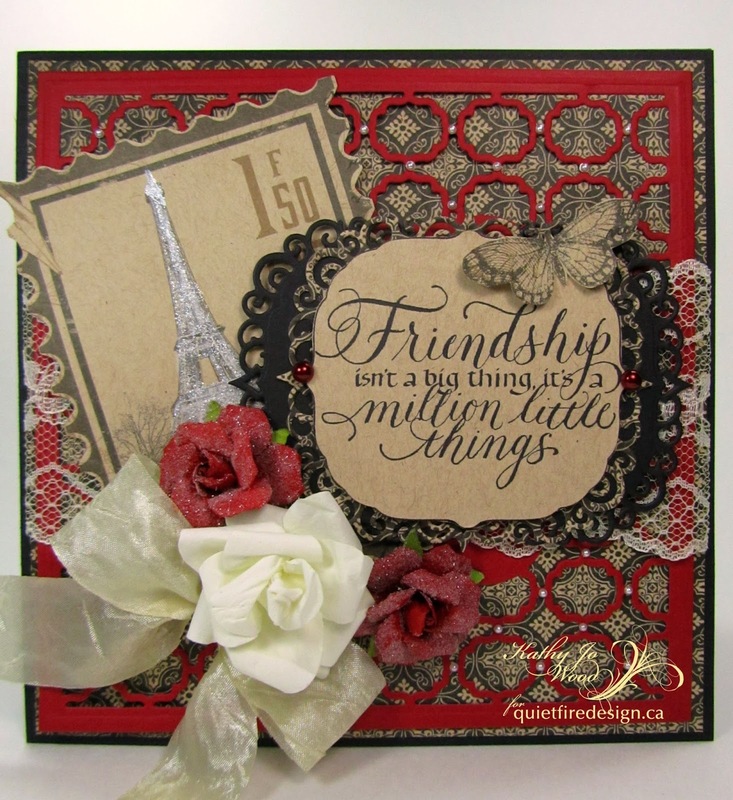 The large Paris postage stamp and the butterfly were both cut from the patterned papers. 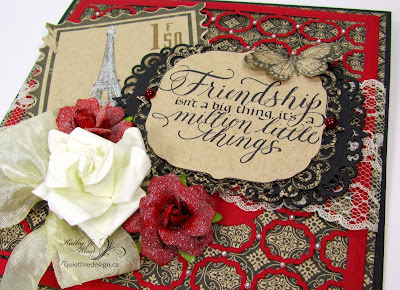 The back side of one of the papers was stamped with the Friendship stamp and Archival ink in black. Thanks so much for stopping by! I do hope you enjoyed the card and don't forget to check out the sales right now at the Quietfire store. Hello Everyone, Halloween is just right around the corner and with all the parties in school, why not create special little treat using Quietfire Design Halloween Wicked Collection. 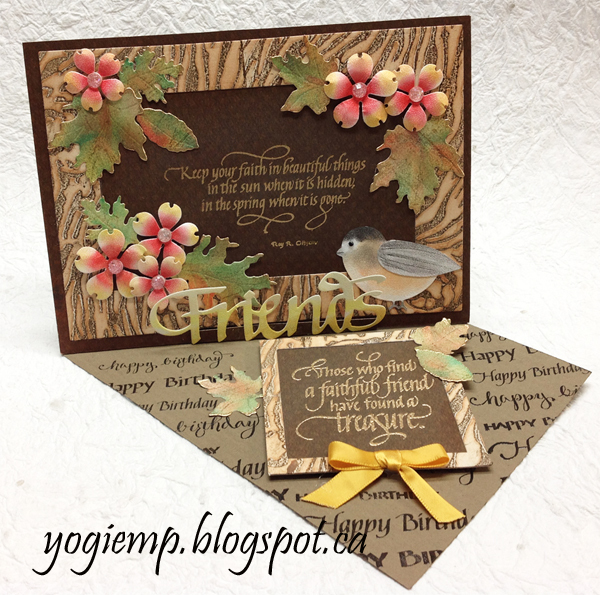 I used Spellbinders Nested Tombstones and My Minds Eye pattern paper. I took root beer bottles, candy containers and individual chocolate bars and decorated them for the kids. I added Want2Scrap Nestabling and Nestaboard as decoration too. 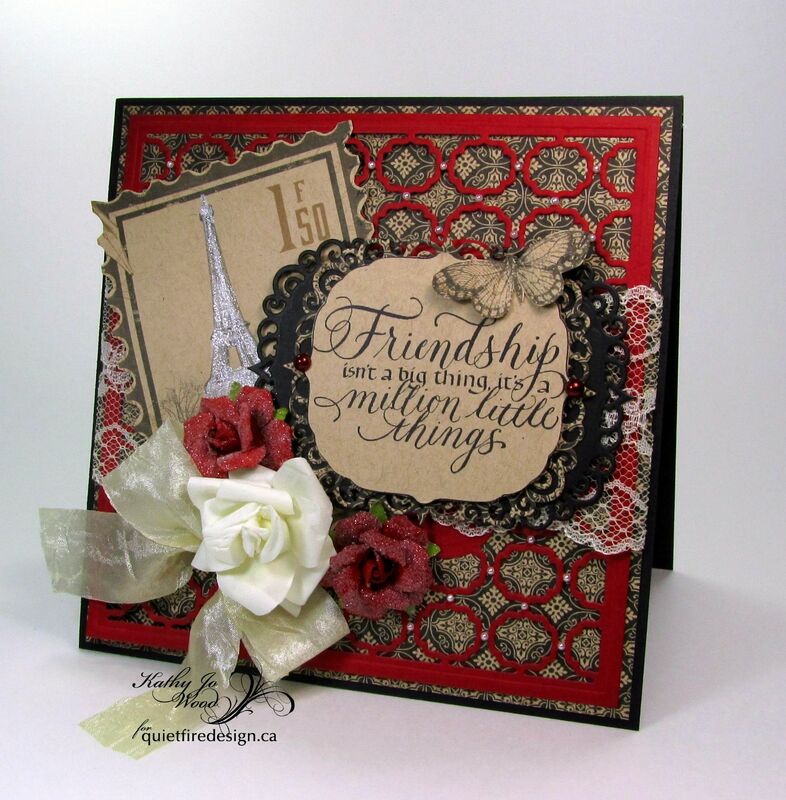 I used Tsukineko Ink Memento Tuxedo Black when I stamped all the sentiments. This was a fun collection to work with. Hi There!!! 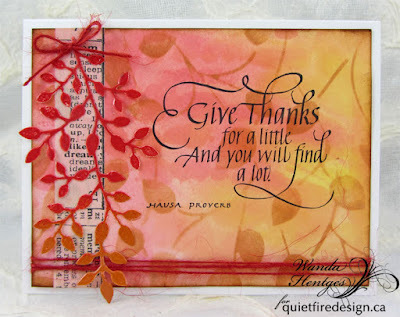 It's Wanda here today sharing an Autumn, thankful card. The Quietfire Design stamp I used is from the Give Thanks set. 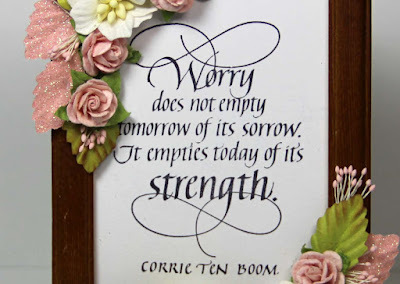 To create my background I've used Distress Inks (barn door, worn lipstick, mustard seed, tea dye) and a stencil (TCW). I put barn door, worn lipstick and mustard seed on my craft sheet (just smooshed pad to craft sheet), sprayed the ink spots with water and dragged a piece of white cardstock through the ink. This was dried and then tea dye ink was added through the leaf stencil using a mini ink blending tool. The quote is stamped with Archival Ink jet black. Along the left side I put a piece of tissue tape wrapping it to the back and then I inked the edges with vintage photo Distress Ink. The leaf spray attached over the tissue tape is an Elizabeth Craft Designs die (leafy branch), die cut from manila cardstock, inked with embossing ink and embossed (red geranium and orange blossom embossing powders). Red twine was wrapped around the bottom with the ends taped to the back and a small twine bow made to go at the top of the spray. Everything is attached to a folded white card. 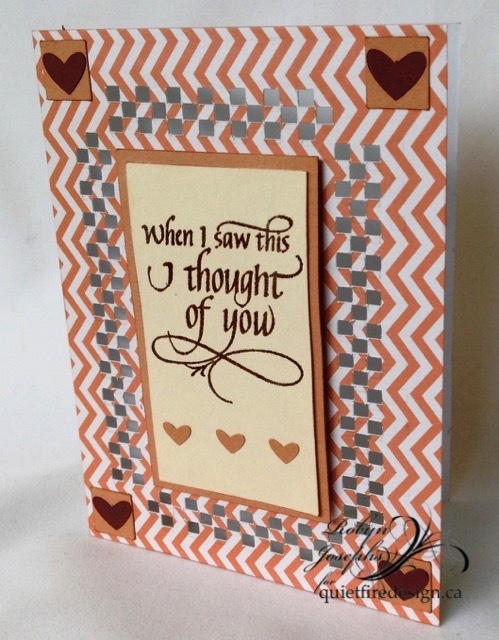 Cuts of the Week- Checkerboard and Chevron Cards-15 Minute Wonders and more! Robyn here with some blasts from the past. 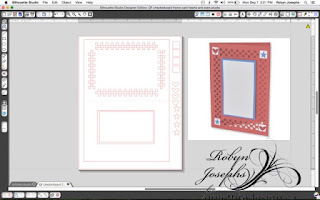 Chevron Frame cards digital cutting files. The first card I set the 15 minute timer and CASEd the file just as it appears on the mat. The center panel could use a border, and the timer went off! 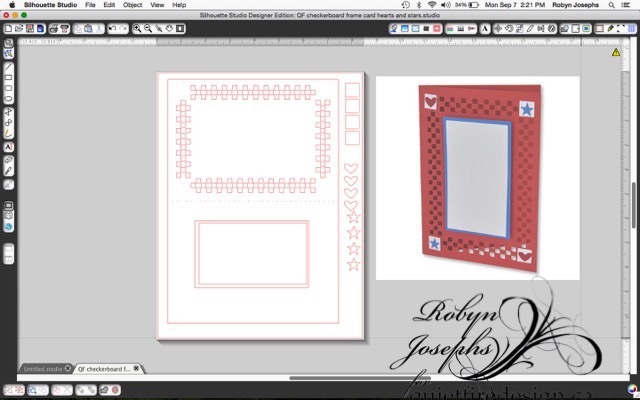 This card is 5X7 and likeing to work with A2, the second card is sized down. Easy peasy with the Cameo. Still it took a bit more than 15 minutes with the design changes. Moving on to Chevron, staying in A2, a second 15 minute card! 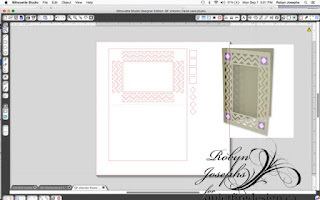 If you are not sure about placement of your cutting on your paper, use a pencil and sketch it out first. then if you have to just, you can do so , erase the pencil marks and no paper is harmed! Press down on the mat with a bone folder. before you remove your card and all the little pieces will stick to the mat. No fussy punching out pieces. 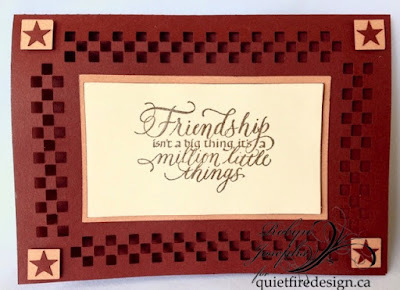 Fire up those cutters and show us what you can do with Quietfire Design files and stamps. Post a link in the comments or on our Facebook Page. Please visit my blog RainbowWeaves for more of my cut ups! Comments and Questions warmly welcomed!